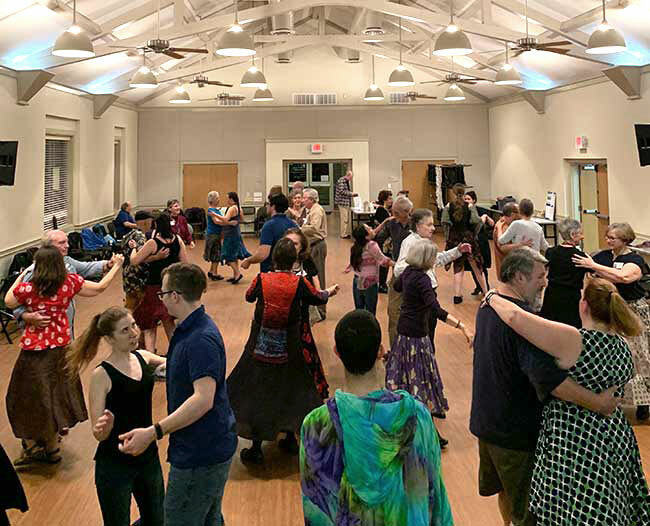 We are the Houston Area Traditional Dance Society, an all-volunteer organization that sponsors contra and English Country dancing in the Houston, Texas metro area. Contra dances are held on the 1st and 3rd Saturdays, and English Country dances are held on the 1st and 3rd Thursdays, of most months. See the Event Calendar and About Our Dances for details. We also sponsor a community band, called Contra Dan's, for musicians who would like to play for dances. This page features items of special note. Use the Menu in the upper right corner and the links below each article to navigate the rest of our site. 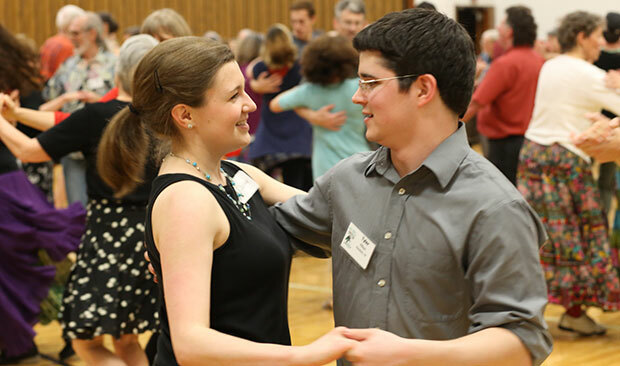 WIDS is the contra dance weekend festival produced by the North Texas Traditional Dance Society in Dallas. This year the dates are April 26-28, the caller is Bob Isaacs, and the band is Tempest. Details and online registration are at nttds.org. Rich Albanese from Reno, Nevada will teach a waltz workshop the afternoon of May 4 at West University Community Center. Download the flyer for details. Each evening of dancing would not happen without several helping hands. Please lend yours! We use SignUp Genius as a management tool, so we know in advance which jobs are covered and which need a volunteer. Click the button below to see what jobs are available and a short description of each. While you're there, sign up to help! Do you play an instrument? Would you like to play for our dances? Playing for dancers is a lot of fun with none of the pressure of concert music. HATDS has a community band that anyone who plays an instrument can join; we call it Contra Dan's Band. Follow the link below to see if joining Contra Dan's is something you might enjoy. Dancing at the West University Community Center. Photo by Michelle Lynskey.